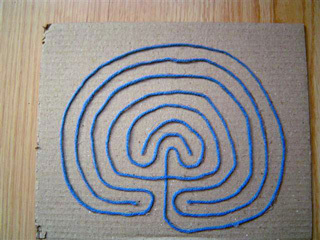 Labyrinths are being used successfully in schools, childcare centres, playgrounds, camps and other programs. Labyrinth activities support math, language, history, art and physical education. They have been used to welcome new students, help children grieve losses, resolve conflicts, fundraise, celebrate graduations, and host community events. 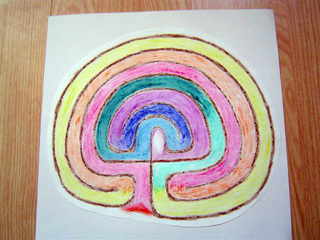 Most notably, educators report that the labyrinth assists students to calm down, make transitions, and focus. 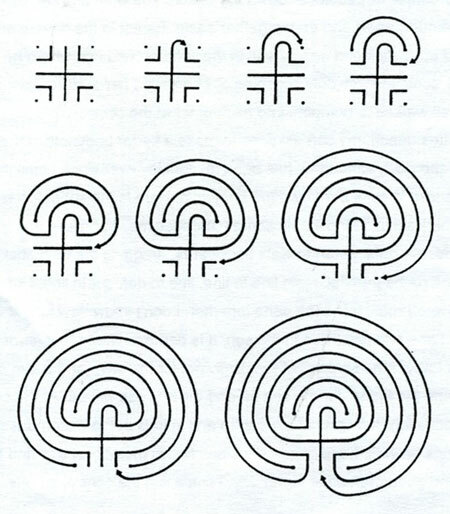 Can YOU make a labyrinth like these? Butterworth, Nick | Harper Collins, 1994. In search of Knossis: the quest for the Minotaur’s labyrinth. Caselli, Giovanni | Peter Bedrick Books, 1999. Mind-boggling mazes and loopy labyrinths. Eid, Klaus | Prestel, 2004. Eileen, Pamela | TYL pub., 2004. Mark, Jan | London, Walker books, 1992. Labyrinths: can you escape from the 26 letters of the alphabet? Mignon, Philippe | Firefly, 2002. Rossetta, Lani | Central Point, Oregon, Leihuni Entereprises, 2001. Sutcliffe, Rosemary | London, Frances Lincoln, 1993. 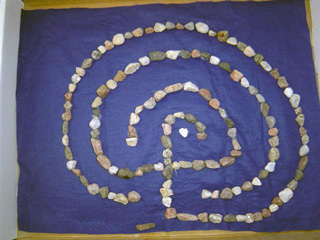 108 ways to use labyrinths in schools. Hancock, Gael | Labyrinthos, 2004. 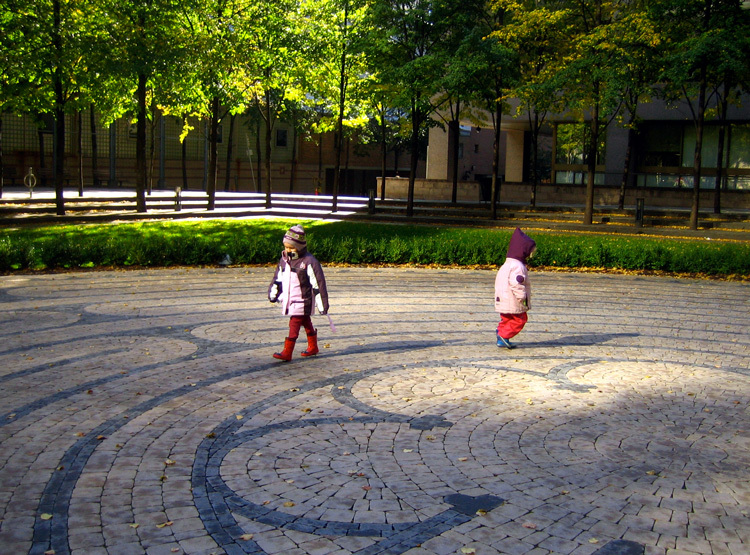 Children and the labyrinth: liturgical and non-liturgical uses. Kallstrom, Chrisine | Alternative learning environments, 2001. Kids on the path: school labyrinth guide. The Labyrinth experience: an educator's resource. Sisters of St. Joseph of Springfield, MA., n.d.